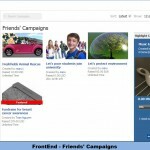 This is a module which will give your site members a hand in financial aspect. 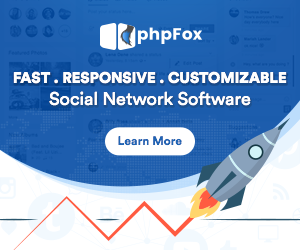 If your members are nursing big ideas but have to give up because of shortage of expense, with Fund Raising being installed, your site will be their savior. 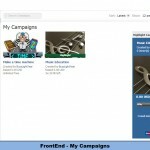 By creating campaign via Fund Raising, your members can give out detailed information about the ideas they have or the projects they are working on as well as the expenses they are in need then appeal other people to raise fund. 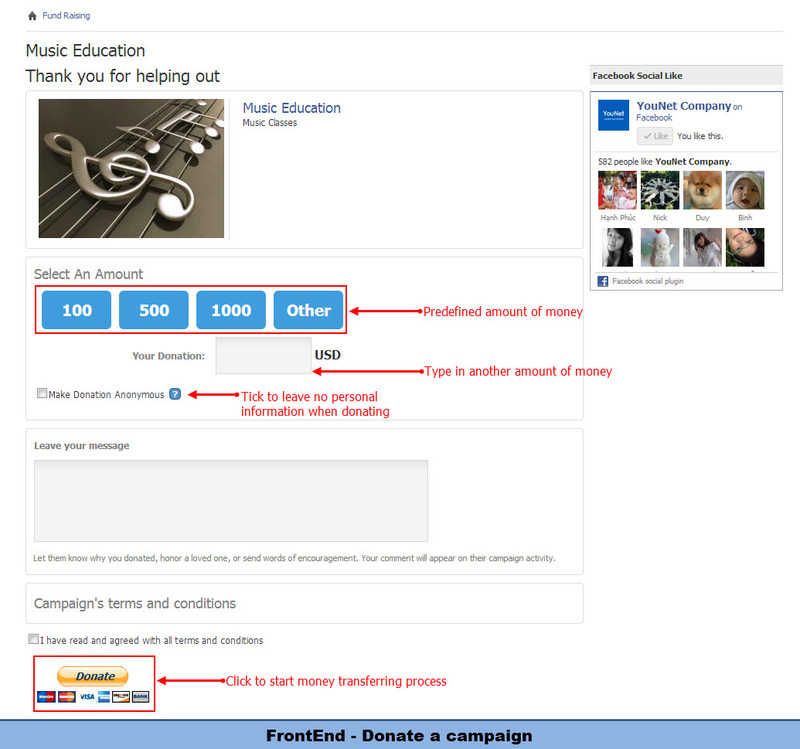 Being a module which has similar traits to Donation in purpose, Fund Raising has significant innovations in feature and interface. 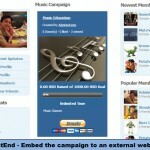 With Fund Raising, donors now will know exactly the reason of donating, whom they donate to, etc. 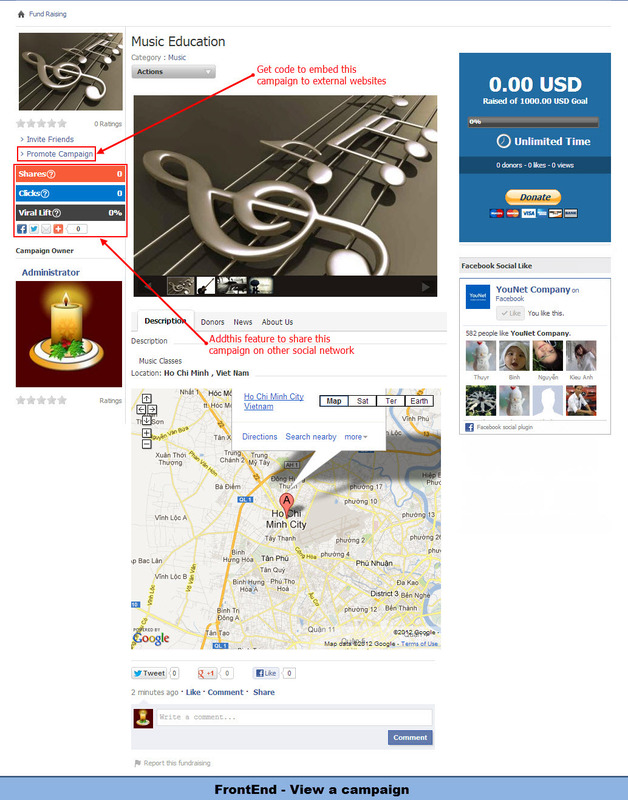 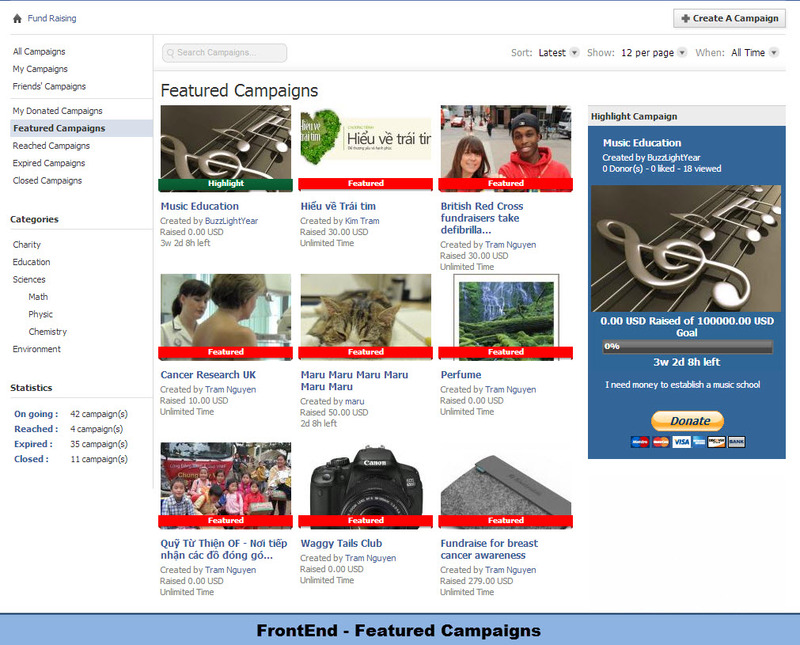 Especially, campaigns are now not only known site wide but also extended to other website. 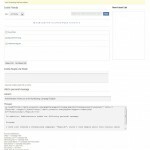 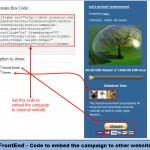 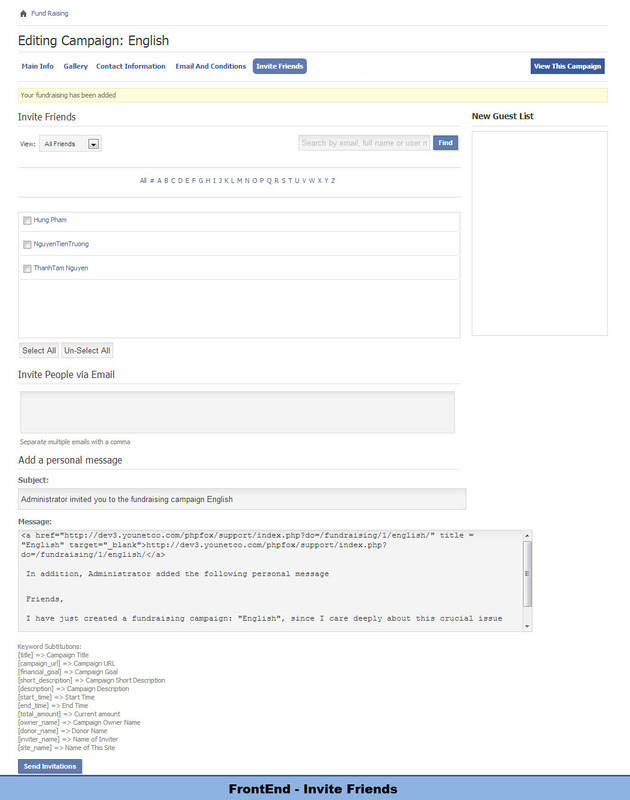 Each campaign now has a source code to form an advertising block to embed to other external websites. 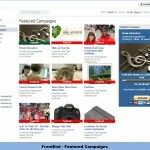 This will bring your members’ campaigns to more people. 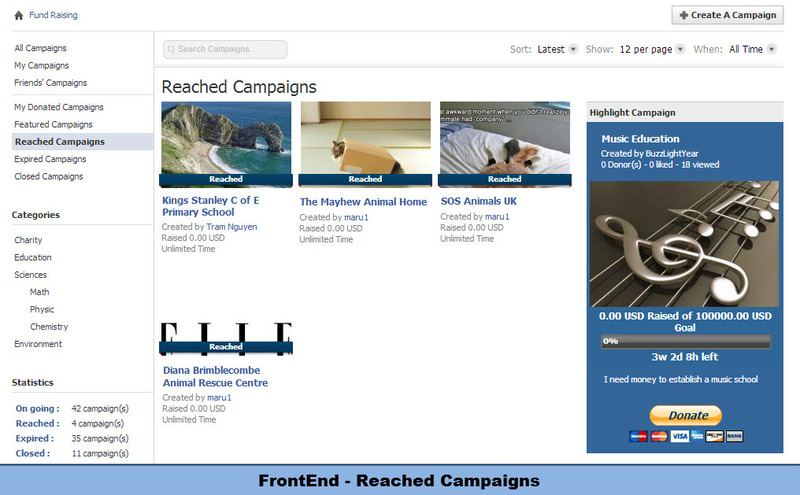 The more people know, the more money they can raise, the more popular your site will be. 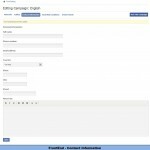 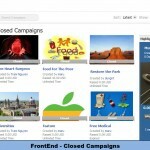 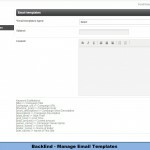 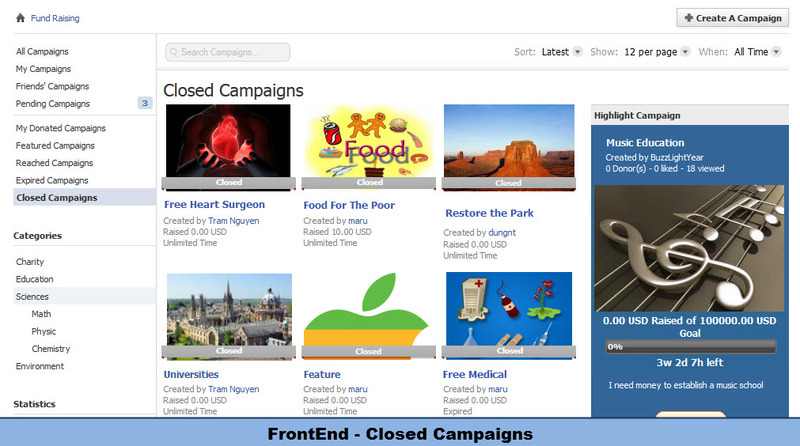 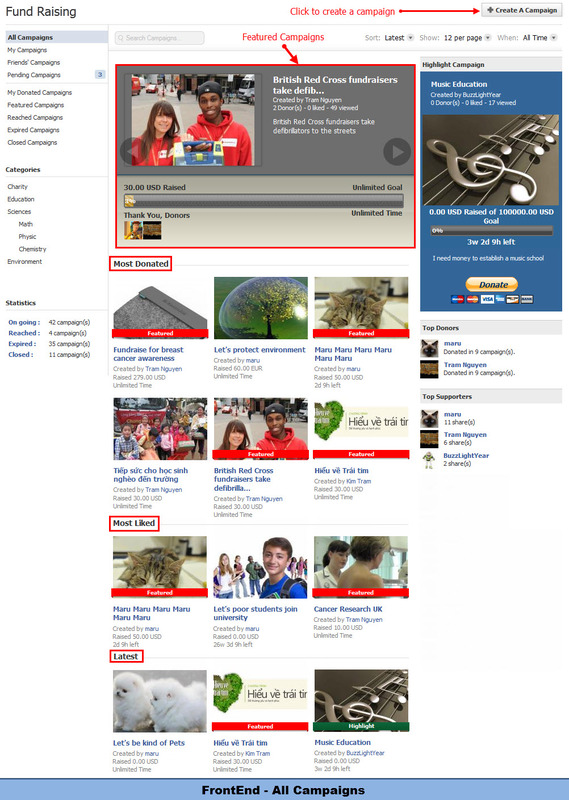 Create campaigns to appeal other people to donate for projects or charity events. 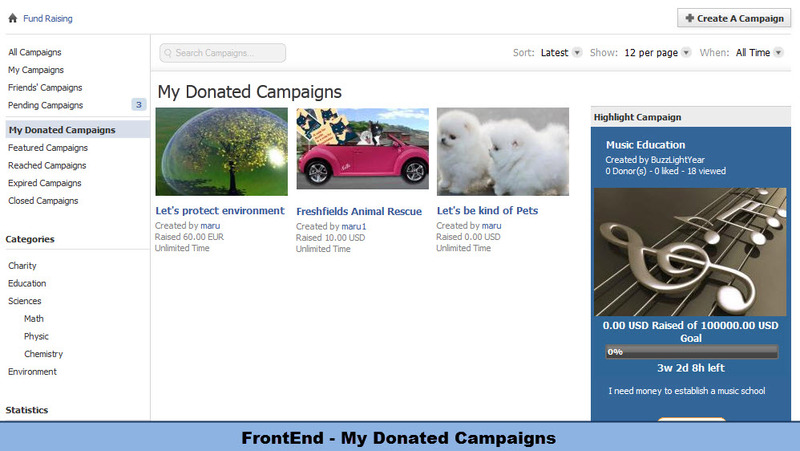 Invite friends to donate: friends on phpFox site and other friends via email addresses. 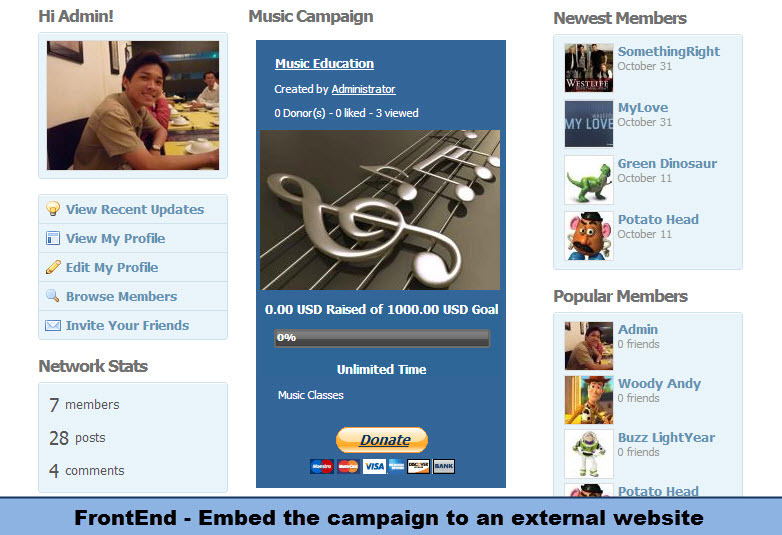 View the statistics of the campaign such as goal and total amount, number of donors / likes / views and time left. 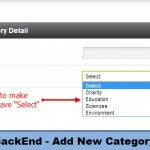 Select Category: Choose a category and sub-category (if existed) to classify the campaign. 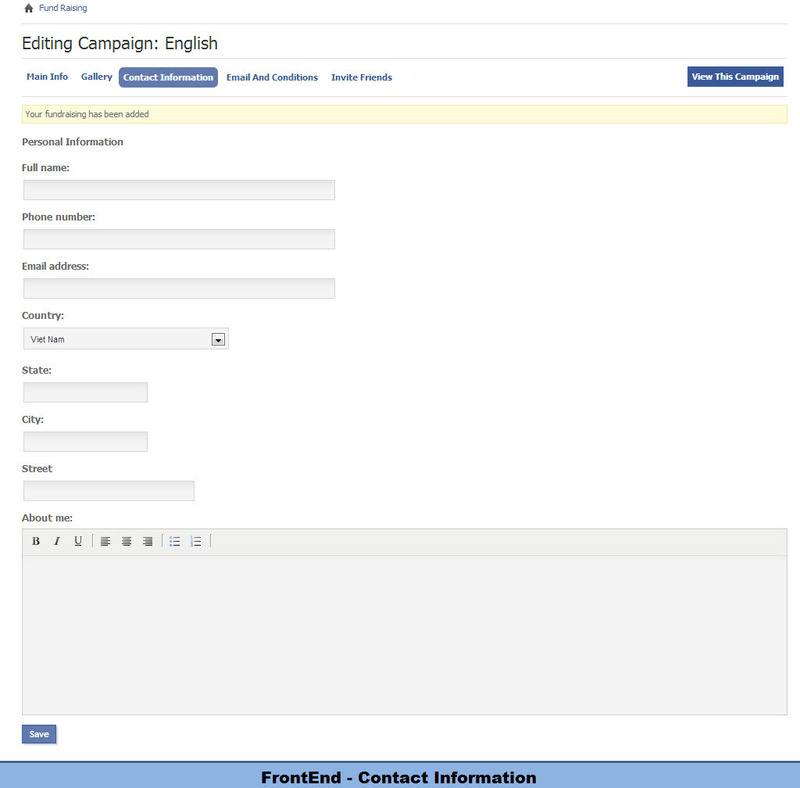 Campaign Name: enter campaign name. 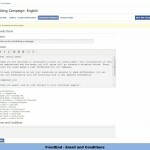 Short Description: give a brief introduction about the campaign. 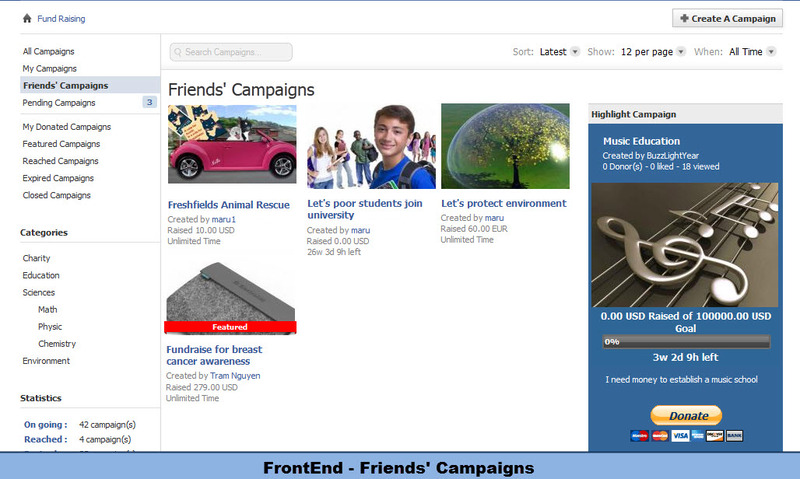 Main Description: give detailed information about the campaign. 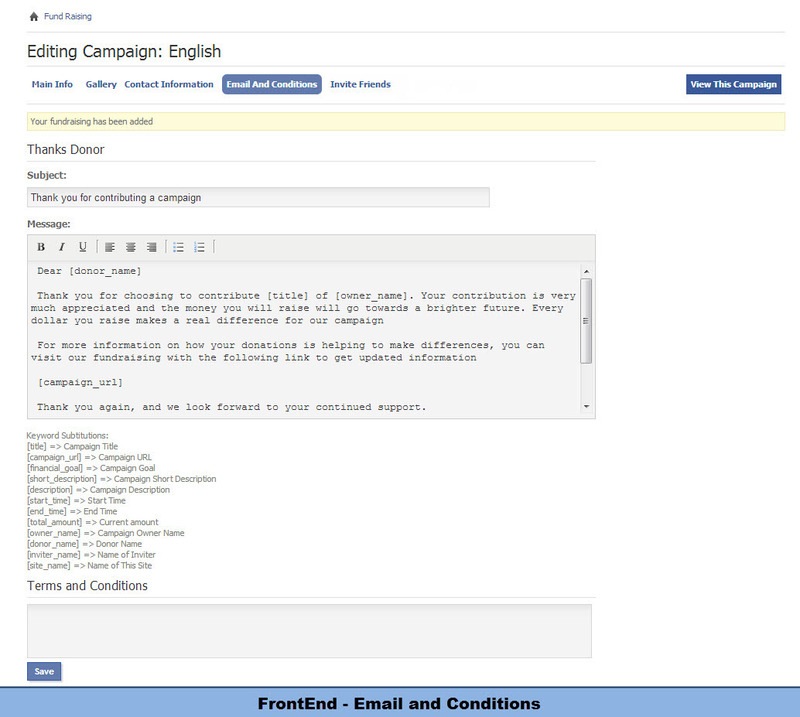 Your PayPal email account: type in your PayPal account to receive money from donors. 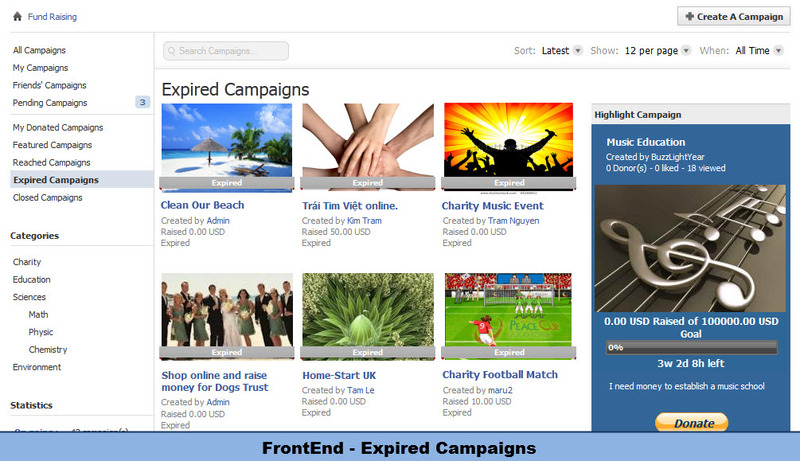 Expired Date: how long the campaign will last or it can be set to unlimited. 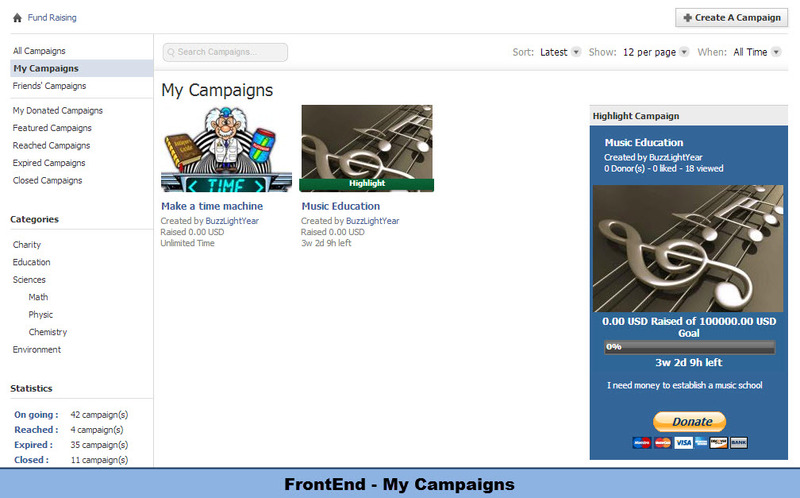 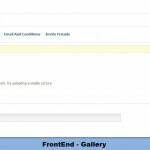 List predefined: create buttons which equal specific amount of money. 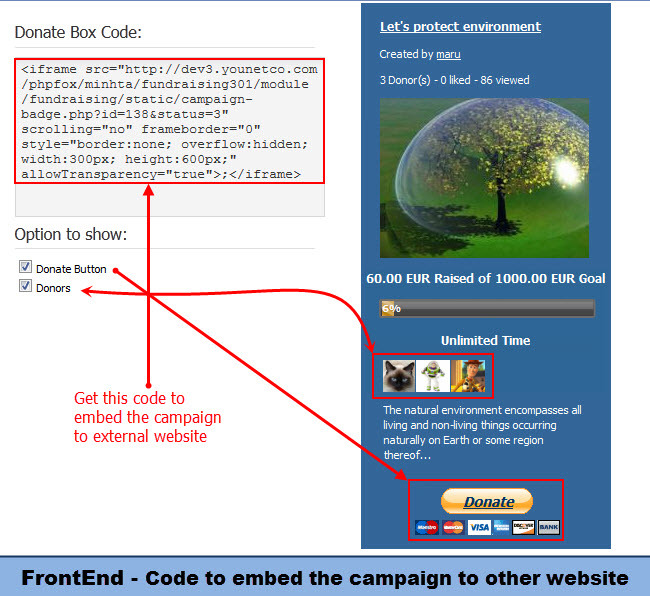 Donors will press these buttons to donate instead of typing in the money. 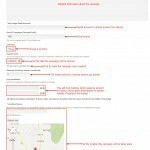 Location/Revenue: choose the place the campaign will be taken place. 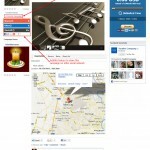 Google Map: choose the exact location. 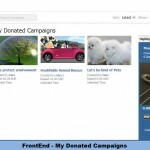 Set campaign’s privacy: who can see, who can leave comments and who can donate. 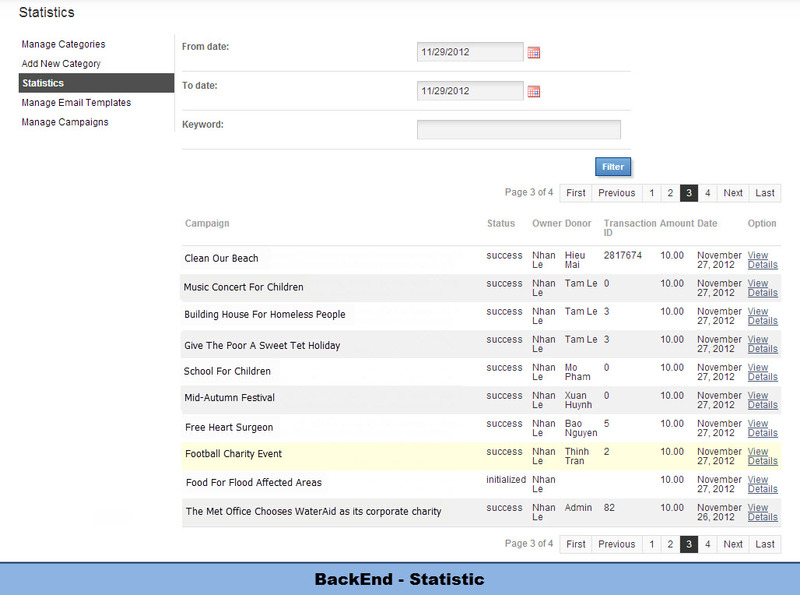 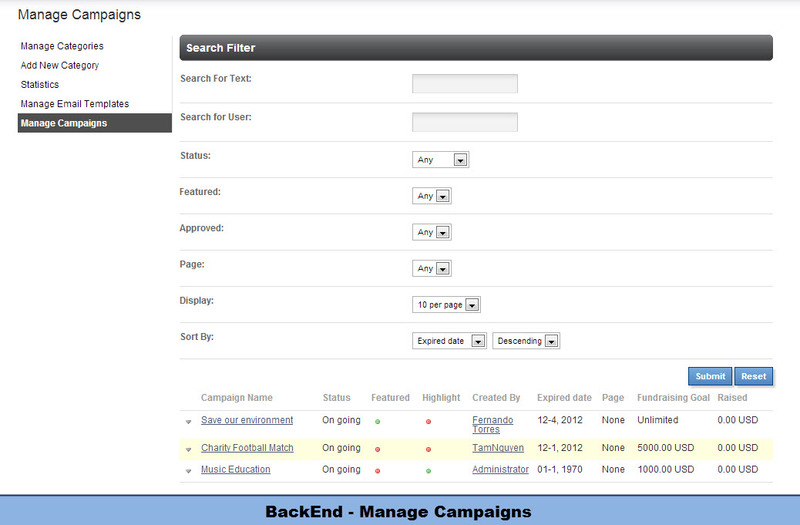 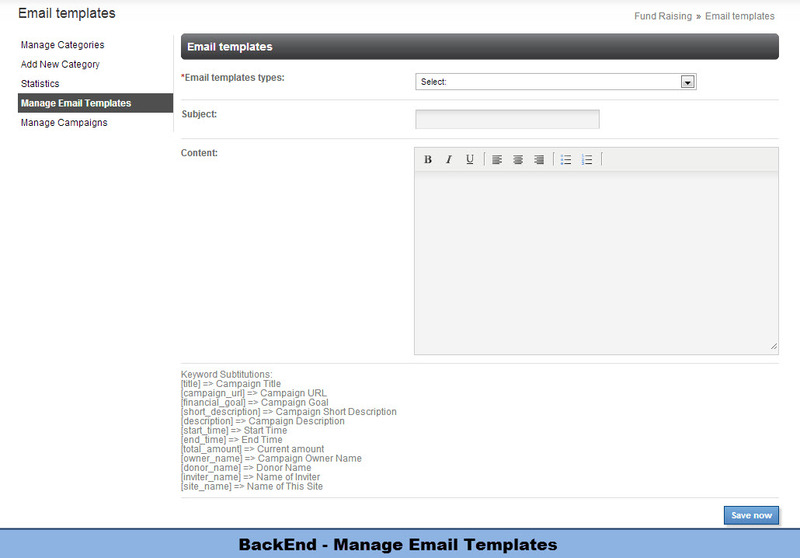 List out all the categories created on your site and you can simply change their positions by dragging and dropping. 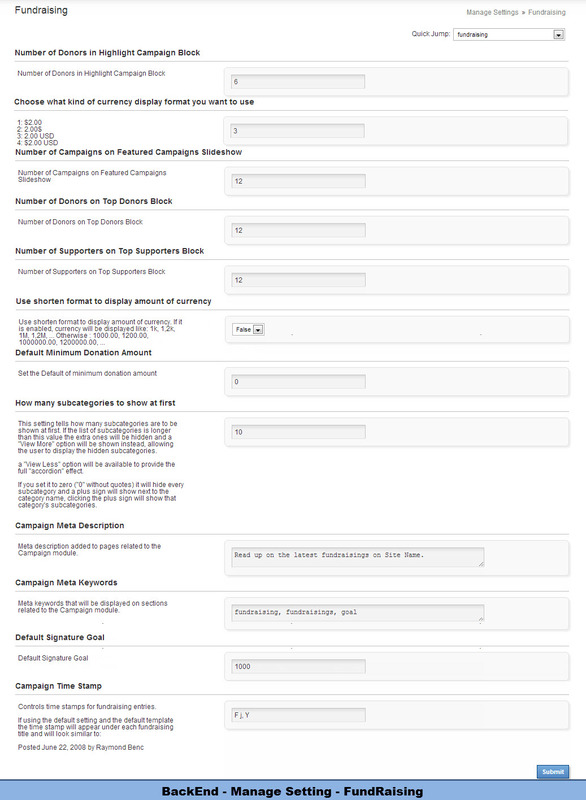 List out all the campaign created on your site and some related information such as: Status; Owner; Donor, Transaction ID; Amount, Date, etc. 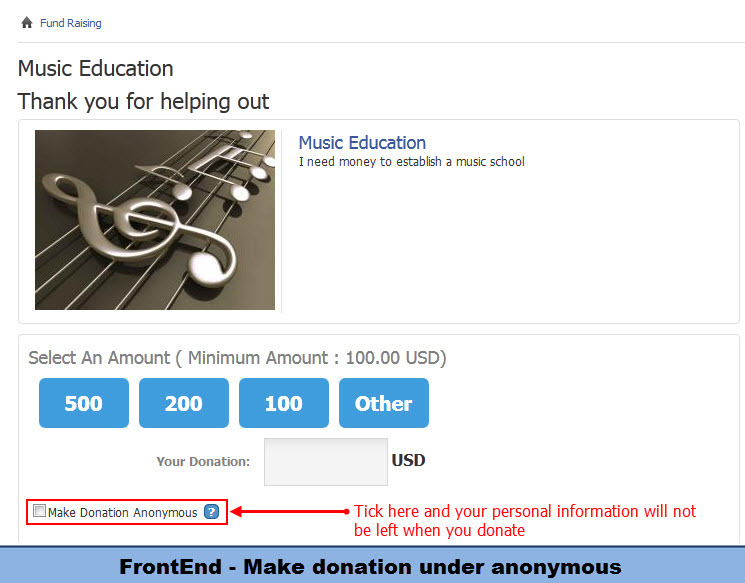 Configure some general privacy for Fundraising. 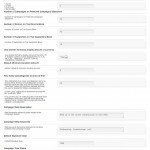 Configure privacy for a specific users group.